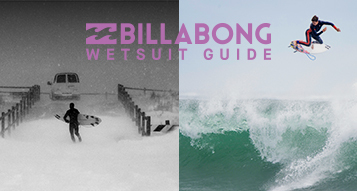 You can use https://www.billabong.com or our affiliates websites, (collectively, the "Website") without having an account. You can visit the Website, read articles and other materials, browse merchandise, and check on offerings without giving us any personally identifiable information. You can also contact us about a particular video, picture, audio file or other posting without having an account. Certain other activities on the Website, such as posting comments or product reviews and signing up to receive e-mail updates from Billabong and our affiliates and partners, do not require you to register for an account, but may require that you provide certain personal information such as your name and/or e-mail address. Still other activities, including purchasing products through the Website, require you to register for a user account. To register, you must create a user account, which requires you to provide your e-mail address and select a password. The password you select is used to protect your account from unauthorized access. We allow users of the Website to send products, articles, videos, pictures or links by e-mail to other parties who may be interested in them. We do not retain any e-mail addresses (unless you are a member who has already voluntarily provided your e-mail address) of either the sender or recipient of such articles or links after they are sent, and we do not share "send a friend" e-mail addresses with third-parties. We also allow users of the Website to share products, articles, videos, pictures or links through certain third-party websites. We provide such links for your reference and convenience only. A link from the Website to a third-party Website does not mean or imply that Billabong endorses the content on that third-party Website or the operator or operations of that third-party Website. Personal information is available to Billabong and the technical and fulfillment agents, partners and consultants who make our Website, products and services available to you. Anonymous information is available to our advertisers, sponsors and promotional and business partners. We share your personal information with third-parties only as described below. 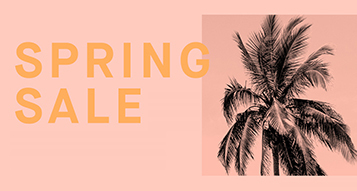 Billabong may access anonymous, aggregate demographic data and any personal information you provide for internal marketing purposes, including sending you notices of sweepstakes winners, new websites, services or products we offer and any other orders. 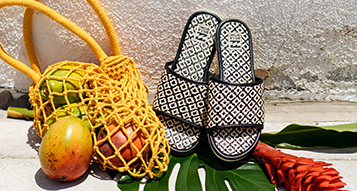 To facilitate subscriptions, catalog requests and orders, Billabong will cache your order information, and create an authorization with a merchant account (e.g., your credit card company). Website hosting firms, technical and database consultants, advertising agencies, order processing partners, customer service partners and fulfillment firms, including firms assisting us in offering contests, sweepstakes and promotions, may have access to personally identifiable information in the course of making our products and services available. All companies working for and with Billabong must comply with our privacy policies, and are not permitted to sell your information to third-parties or to use it except as authorized by us and you, or as permitted or required by law. We may offer opportunities to make purchases online from special participating vendors. If we do so, we will also give participating manufacturers, retailers, wholesalers or distributors the order information and authorization for the merchant bank. Any time you order from a participating vendor, that vendor will automatically have all the information related to the order. Participating vendors have their own privacy policies, and they may use that information to advise you directly of other products and offerings that they provide. 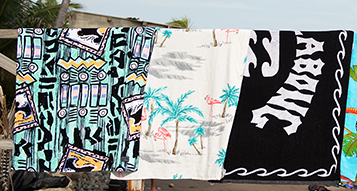 Billabong is not responsible for these third-parties' respective privacy policies, and we urge you to inquire about their information collection and use practices. In addition, all vendors will receive the same anonymous, aggregate data that our advertisers receive. As in any transaction, your credit card company will have all relevant information about the name of the vendor, item(s) purchased, date, total cost and other information necessary to process the transaction. Billabong will not otherwise provide any personal data to your credit card company without your permission. Your e-mail address is not shared with third-parties unless you agree to receive information, by opting in, from third-parties. In other words, we may extend e-mail offers to users or subscribers on behalf of our business partners about a particular product or service that may be of interest to you, but only if you have indicated that you would like to receive these offers. If you wish to receive such offers, we will not share or disclose your name or e-mail address to those business partners, but will send you the information or offers on their behalf. As a result, although Billabong may receive a fee from our business partners for this service, Billabong sends the offers so that your personal information is never shared with any outside third-party. Of course, you may opt out of receiving these offers at any time. 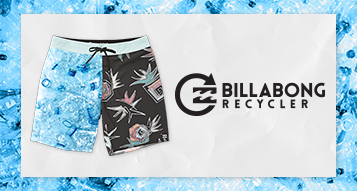 Sometimes we will give you the opportunity to opt in to receive e-mail offers from third-parties not affiliated with Billabong. If you decide to accept these offers, we will provide, with your consent, your contact information to the third-party. On our Website, visitors will also have opportunities to sign up directly with certain advertisers and sponsors to enter contests or sweepstakes or to receive e-mail updates and other information directly from them. Third-party vendors and advertisers will also use technical and other consultants. We urge visitors to review carefully the privacy policies of these firms. Billabong is not responsible for the privacy policies and procedures of any third-party. You should be aware that if you voluntarily disclose information, personal or otherwise, online in any community area (whether through the Website or any other service available online), that information can be collected and used by others. For example, if you use chat, forums, bulletin boards, blogs or message boards, or if you post personal information online (such as your e-mail address), you may receive unsolicited messages from others. 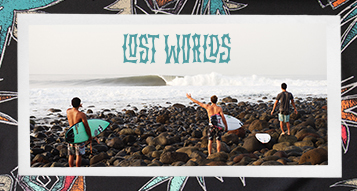 Billabong has no control over this use of your personal information. Some of the third-party content displayed in our Website is provided by outside companies. This content may contain cookies and may also contain web beacons. Unlike cookies and web beacons used by Billabong in content we control on our Website, we do not have access to information collected from cookies or web beacons received in connection with third-party content. While we use third-parties which we believe are reputable to serve some or all of the content placed within our Website, third-parties may use information (not including personally identifiable information) about your visits to our Website to assist in serving their third-party content to you. They may also share anonymous information with their clients such as date/time of the content shown, the specific content shown, the IP address and other similar information. You may write to us and update your contact information or ask that we not share your personal contact information with third-parties at: Billabong, Inc., 15202 Graham Street, Huntington Beach, CA 92649, Attn: Privacy Coordinator. In those instances, we will retain your information in a "do not promote" file in our database. You may also contact us via email at privacypolicy@Billabong.com. Although we have implemented systems and procedures to secure the data maintained by us, security during Internet transmissions can never be assured. Our policy is to limit access to personal data to those Billabong employees or agents with a specific need to access or retrieve this information. We store data on multiple service systems, in controlled environments. To maintain security, we conduct internal reviews of our security measures on a regular basis. Remember, however, that any personal information you post in comments, product reviews or elsewhere on the Website is available to anyone.